Trotec Germany is known for manufacturing quality goods and services. They are one of the top dehumidifier providers in the world. Realizing the needs of industrial, commercial and domestic sectors, Trotec has been manufacturing goods since three decades to minimize the cost and efforts of different sectors. 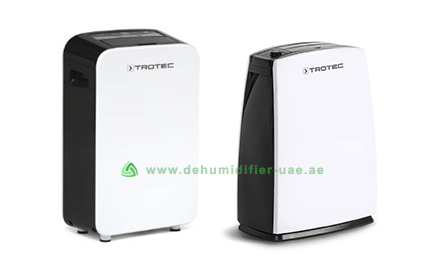 Trotec Dehumidifier are known globally for their effectiveness in tackling high humidity problems. It also focuses on products that give protection from the negative impact of climate. Maintaining core standards and values, Trotec manufactures various Measuring Instruments and products for Commercial and Industrial Applications. 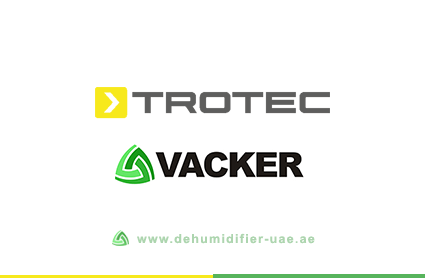 Vacker UAE is the only authorized supplier of Trotec products in Dubai and the Middle East. Vacker UAE offers various Trotec products in the entire Middle East for industrial and commercial applications. In this article, we will walk you through some of the great products from Trotec that Vacker UAE deals with. The Air Purification products such as Trotec Dehumidifier and Humidifier are the bestselling products of Trotec. The Air Purification products control the moisture content in the air. The moisture content which is known as Humidity should be controlled. Excessive humidity or too less humidity can be very dangerous. If the humidity is low then, you should choose a device called Humidifier which will keep an optimum humidity content in the environment. The humidifiers also freshen up the environment and protect from mold, dampness, musty smell, etc. A Dehumidifier is a device that reduces the humidity content in the air. Even a high level of humidity in the air is dangerous for health. It can be a breeding ground for mold, dampness and bacteria. The dehumidifier precisely controls humidity. Vacker UAE supplies Dehumidifiers for different sectors with different dehumidification capacities. The dehumidifiers required for domestic and industrial environment differ. For domestic environment, a dehumidifier with low dehumidification capacity is better, however for the industrial sector, a dehumidifier with high dehumidification capacity is very essential. 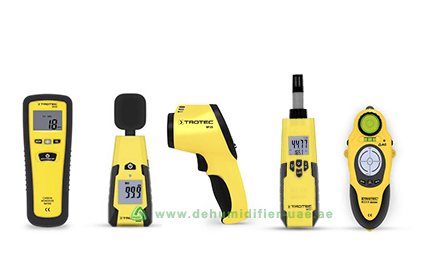 Trotec Germany is one of top manufacturers of Measuring Instruments. Vacker UAE supplies all types of Measuring Instruments that give an accurate reading of temperature, humidity, air flow, air rate, air velocity, sound level, distance measurement, food temperature and so on. Infrared thermometer or Pyrometer is a device that gives precise measurements using the laser beam available in the device. Infrared Thermometers find its usage in various applications like food measurement, distance measurement, etc. They also give accurate surface measurement. Food Probe Thermometer is a measuring device used by food experts, chefs and food inspectors for recording the accurate food temperature. It is equipped with stainless steel probe for the inner food measurement. The food thermometer also has laser beam for surface temperature. Thermal Imaging Camera is a device that is used for thermal inspection in different environments. The device can be used for electric installation, chemical monitoring, data server room and so on. Vacker UAE offers all types of Measuring Instruments and Air Purification devices in the Middle East and Africa.